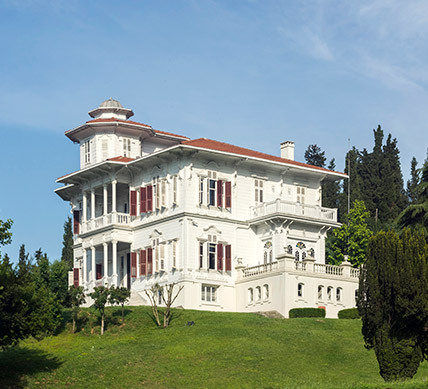 Cemil Molla mansion is one of the most fascinating examples of the 19th century Ottoman architecture and still surviving in an untouched wood in the Bosphorus. It was virtually a cultural center during the Abdülhamid era and frequently hosted artistic events. MESA, in 1986 that is one hundred years after its construction, purchased this famous mansion. During 2004 – 2005, it was meticulously restored to the original design and now looking forward to the future down the hills of the Bosphorus in a more robust manner. For more information about Cemil Molla Mansion, please click here.